My husband is really getting into this “cooking stuff”. Seriously, he’s coming up with ideas for meals and variations on meals. He’s even doing the grocery shopping! OK OK- he does call me several times, but hey! He’s doing it! He wanted to make more salad that were less typical salads. I found one that had some good ideas, but the dressing was just honey and water…..sorry, but no. Made a few more changes and came up with this. Jim and I loved it. 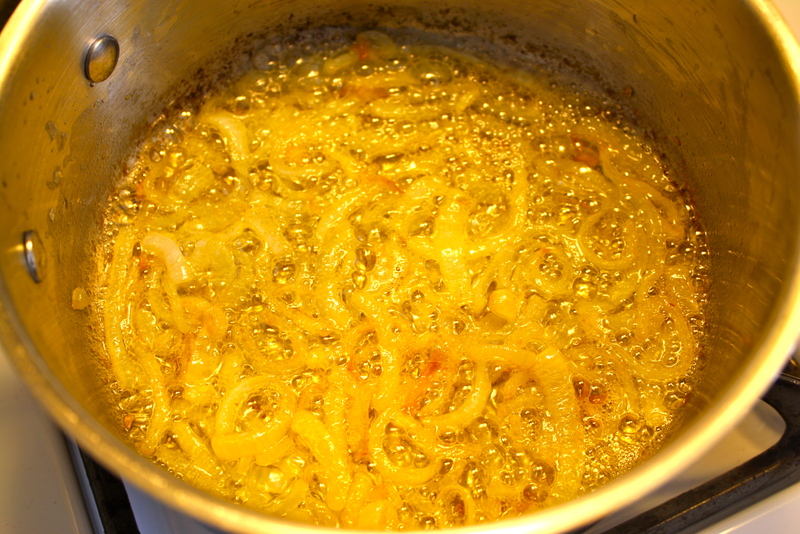 In a medium sauce pan, saute onions in butter over low heat. Don’t rush this. Start it first so it can saute around 20 minutes. It will make the onions sweet and delicious. After starting the onions, cook the pilaf according to package directions. (I usually substitute broth or stock for the water for more flavor.) Cook the edamame according to its package directions. Stir honey and balsamic vinegar together and whisk in olive oil. Add thyme, mix and set aside. When the onions are done, add the pilaf and stir. Then add the edamame, walnuts and dressing. 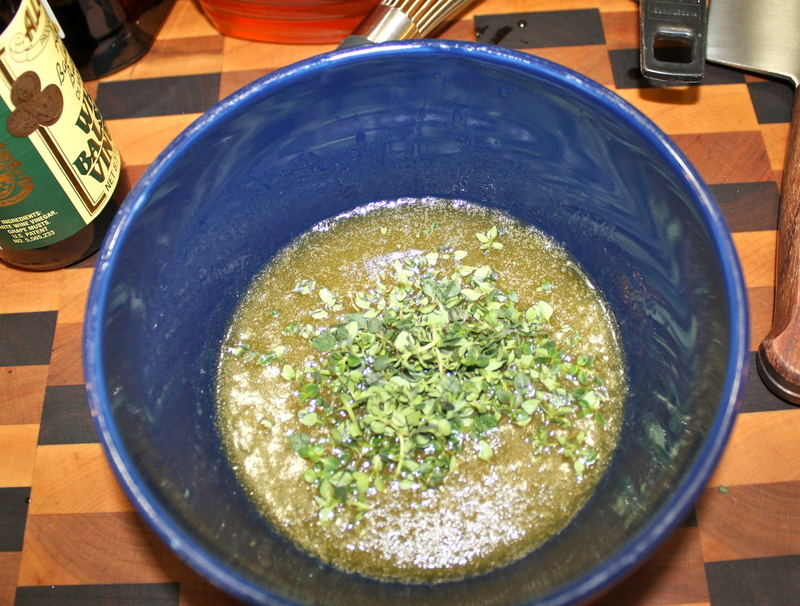 Stir and let sit for at least 5-10 minutes so the flavors can mingle. Taste and season with salt and fresh ground pepper. 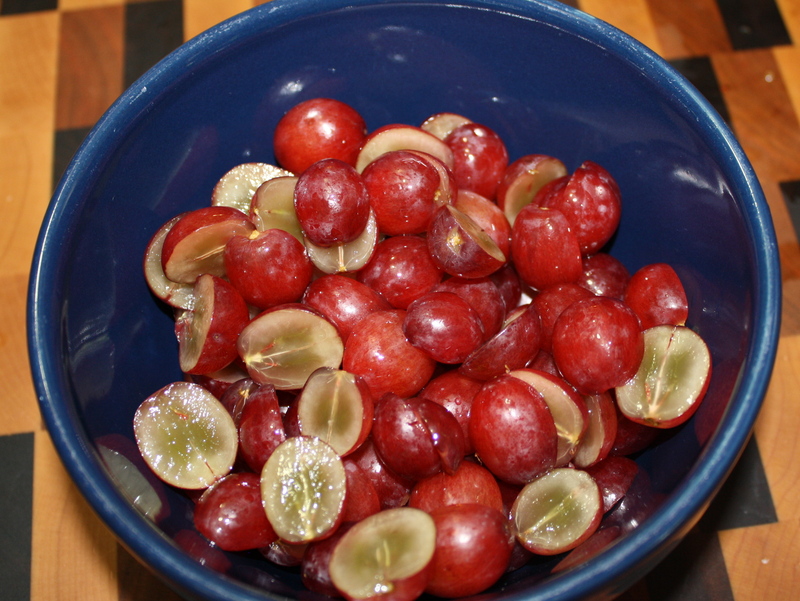 Mix in the grapes just before serving. 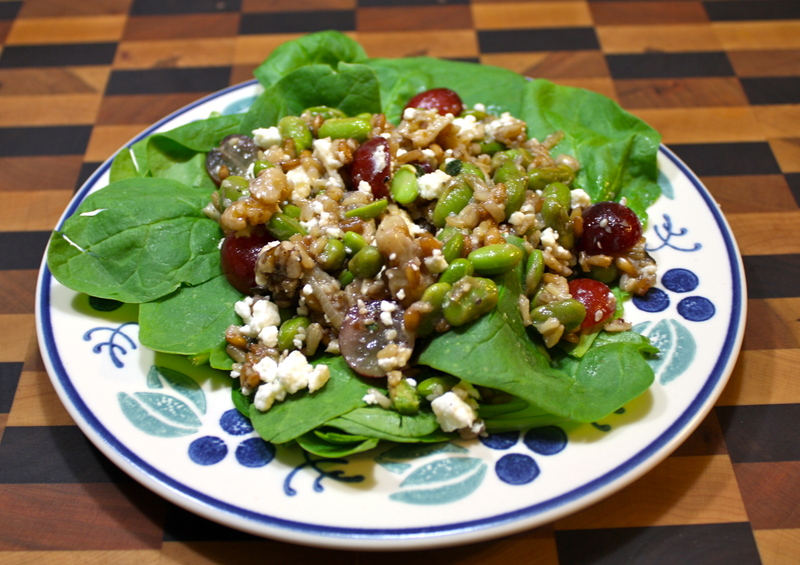 To serve, place spinach on plate, spoon edamame mix over it and top with feta cheese. This is even better the next day for lunch. Just pack the spinach separately and combine on your plate.